4. Tan Z, et al. 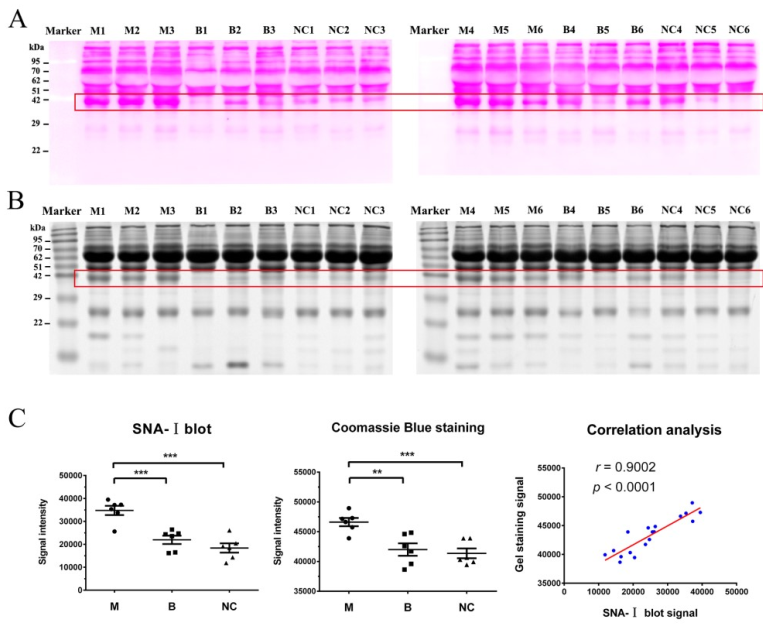 Altered N-glycan expression profile in epithelial-to-mesenchymal transition of NMuMG cells revealed by an integrated strategy using mass spectrometry and glycogene and lectin microarray analysis. 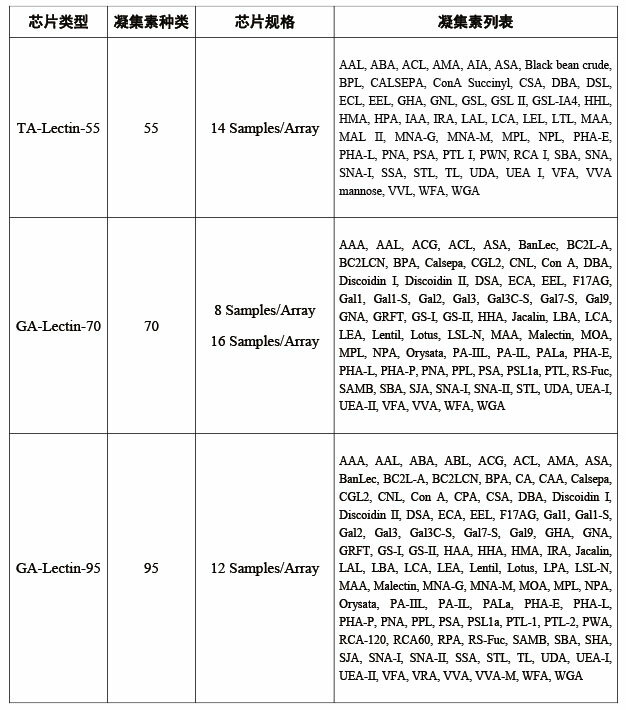 J Proteome Res, 2014, 13(6): 2783-2795. 5. Bird-Lieberman E L, et al. Molecular imaging using fluorescent lectins permits rapid endoscopic identification of dysplasia in Barrett's esophagus. Nat Med, 2012, 18(2): 315-321. 6. Liu Y, et al. 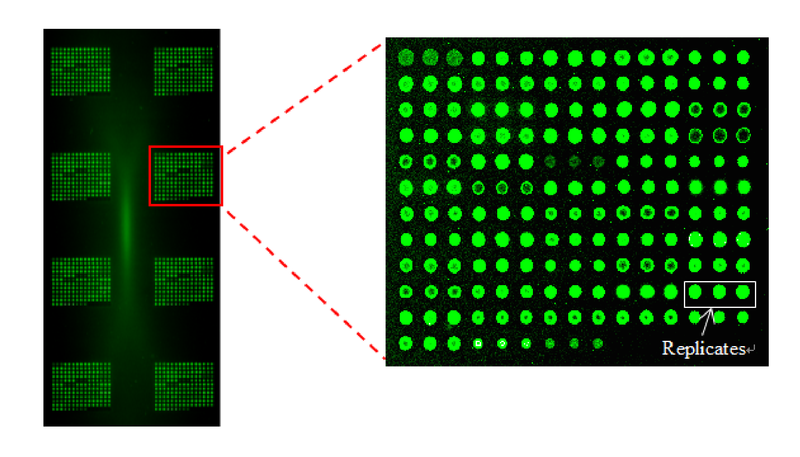 Identification and confirmation of biomarkers using an integrated platform for quantitative analysis of glycoproteins and their glycosylations. 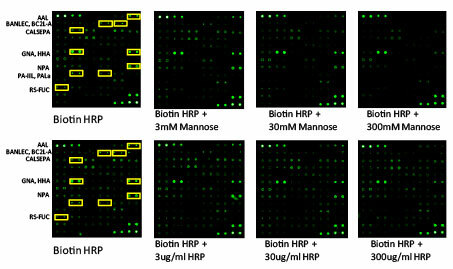 J Proteome Res, 2009, 9(2): 798-805.